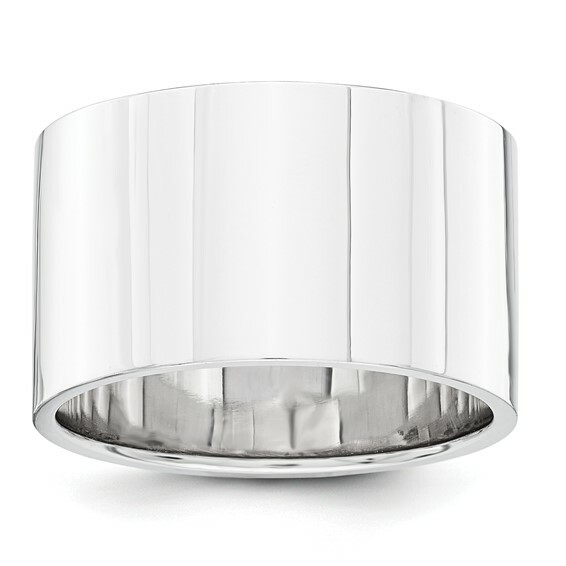 Solid 14kt white gold wedding band has a polished finish and flat center. Width: 12mm. Thickness: 1.2mm. A size 7 band weighs approximately 11.07 grams. Standard fit. Made in the USA.